Mason’s strategic plan, passed late last semester, outlined a commitment to boost research funding and incorporate more research into undergraduate programs. Part of this transition has raised discussion about how faculty will spend their time, and finding a balance between research and teaching. A December 2013 study by the Joint Legislative Audit & Review Committee found that Mason has one of the lowest averages of student credit hour loads for tenured and tenure-track faculty. “GMU has a standard expectation that faculty teach four courses per semester, but this expectation is reduced to two courses per semester for tenure-track faculty because 50 percent of their time is expected to be spent on research,” read the report. Between 2004 and 2010, tenured and tenure-track faculty at Mason have decreased their teaching loads by about ten percent. And this isn’t unique to Mason. 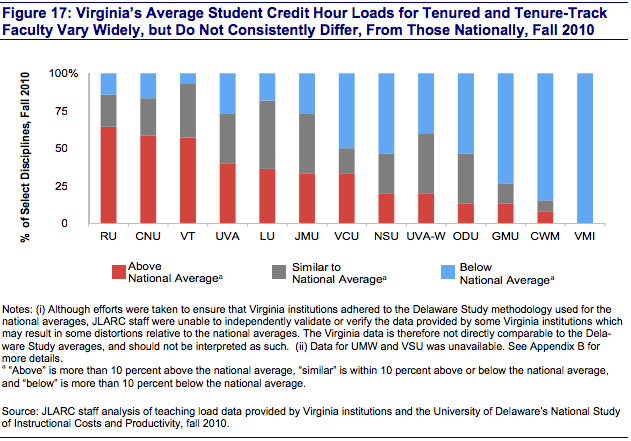 “From 1996 to 2013, Virginia faculty report that the average percentage of their total workweek spent teaching decreased modestly from 60 to 53 percent, while the average percentage spent researching increased from 16 to 31 percent,” read the report. 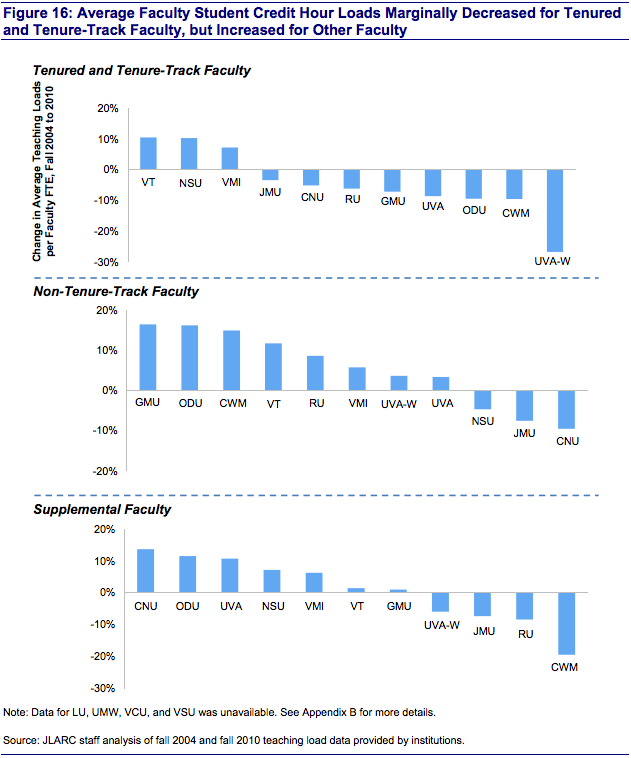 64 percent of full-time faculty are tenured or on tenure track. Alternatively, teaching loads for non-tenure faculty have increased by over 15 percent between 2004 and 2005 – the biggest increase in the state.